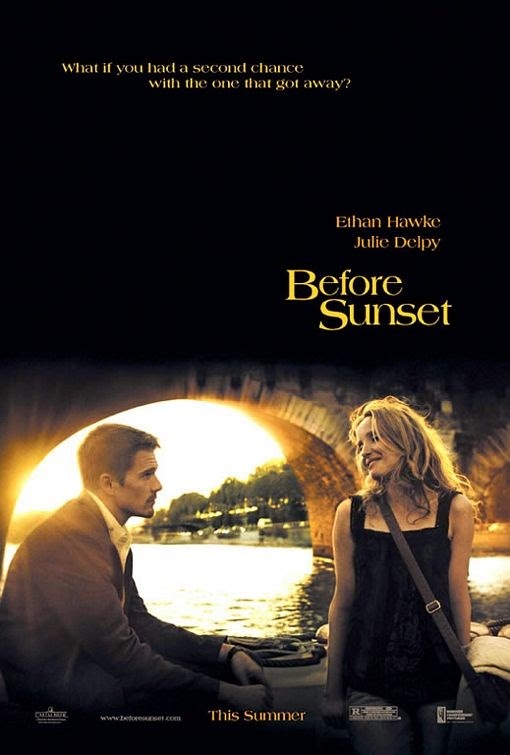 Screenplay by Richard Linklater, Ethan Hawke and Julie Delpy. 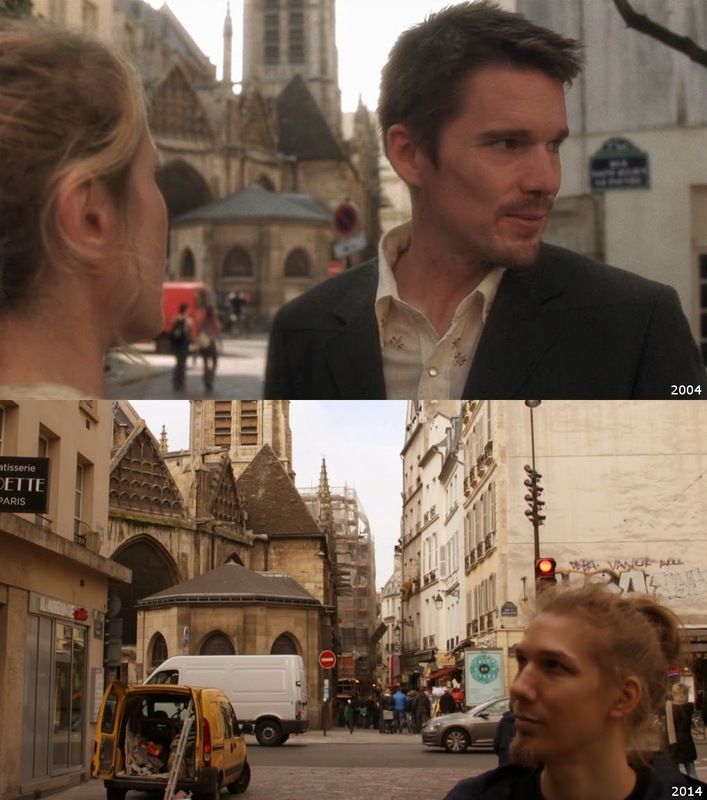 Starring Ethan Hawke and Julie Delpy. Film contain long Steadicam takes. 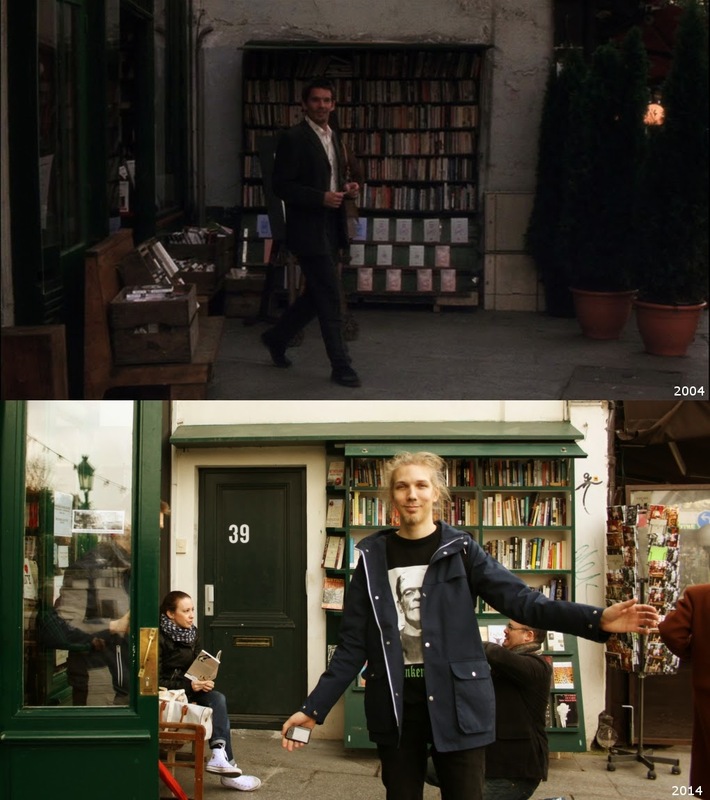 The longest of the Steadicam take is about 11 minutes. 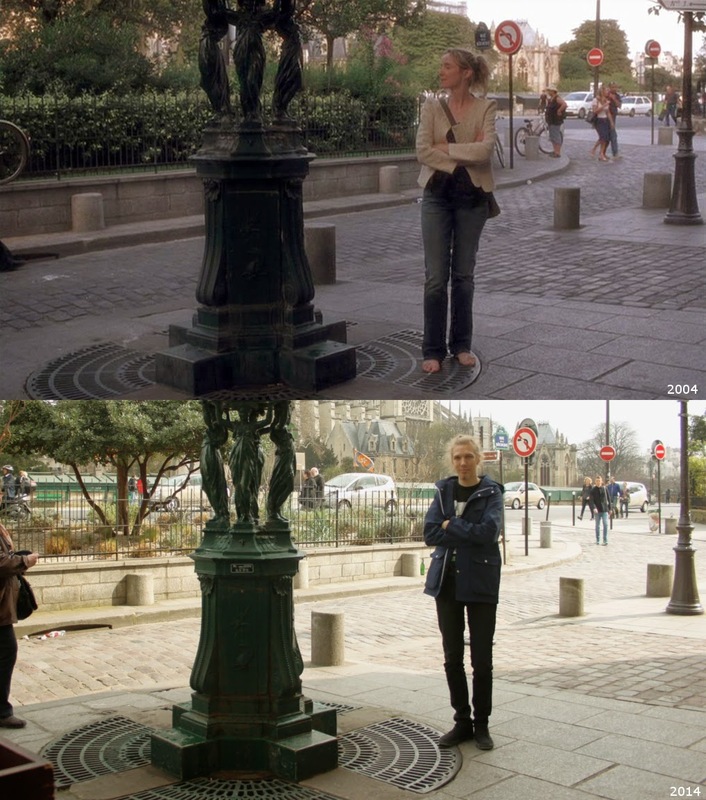 The movie was filmed in 15 days, entirely on location in Paris. 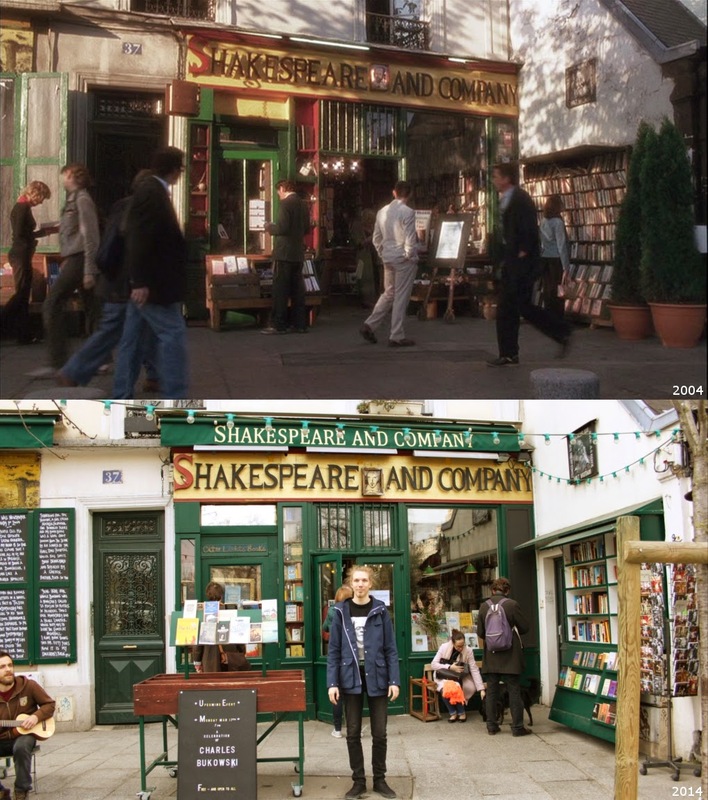 Celine (Julie Delpy) waits Jesse (Ethan Hawke) outside the Shakespeare and Company Book Store. 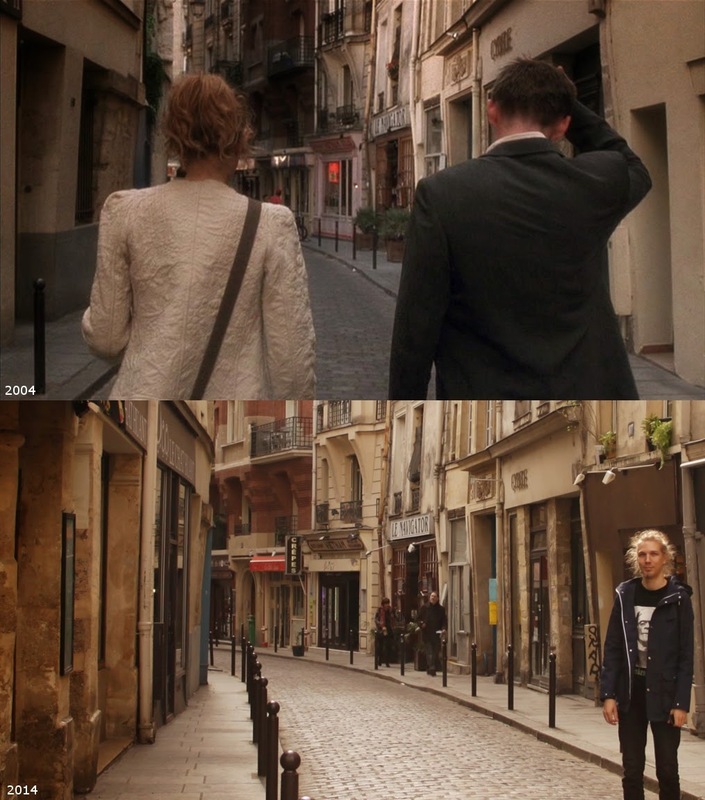 Then they are walking on Rue Saint-Julien le Pauvre. Then they turn to Rue Galande.